The use of analogy in the naming of modern actions and subjects is extremely common – an analogy can be used as a teaching tool – they bridge from the ‘known’ to fresh, innovative concepts because they describe what these do in ways to be understood by the greatest number of people possible. For example: Conversation Threads. Spinning a Yarn. Weaving a Tale. String theory. The Tapestry of Life. The world wide Web. Cut from the same Cloth. This hopefully leads to understanding and recognition by the viewer to how things work, sometimes in a roundabout fashion. Like individual threads, the Participants of theJobSpectrum™ weave a fabric of assigned value to their respective Guilds, which splits the monthly ad take and distributes the revenue according to the value assigning survey results. Functionally, theJobSpectrum™ is a Loom that is a Virtually Designed Mechanism. The Participants that enter the Data are spools. The Data they enter are the individual threads. The way the Participants are divided, by their birthday, are the different colors of thread. The variance of the answers month to month, of ‘Manufacturing Data—With Meaning’ will actually weave a Index tapestry. It will become a Product that has Value in its own right, and it needs all of us to make this happen, together. 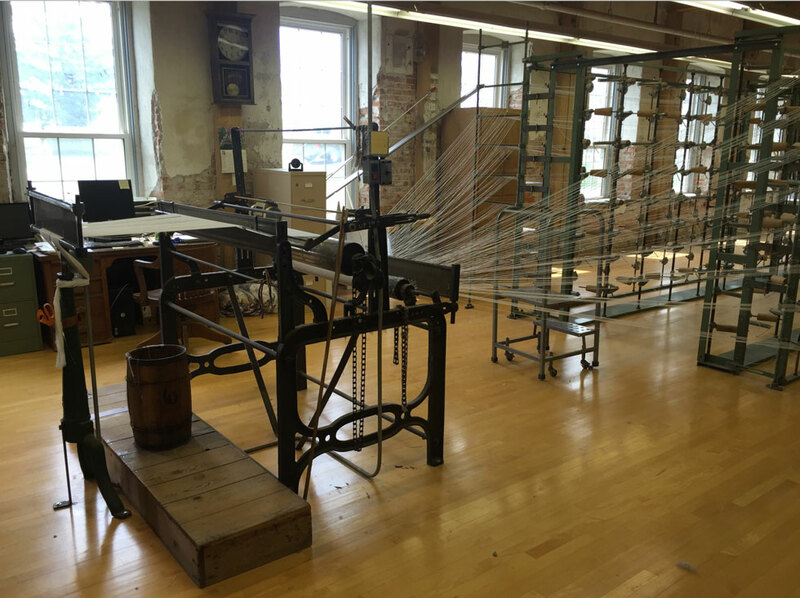 The process of how theJobSpectrum™ Manufactures Data is a loom. The Structure of its Design is like a plant. We’ll explain that further in the days ahead. But like any idea, it is a living, stable entity that can grow, live and thrive – if we can explain it so it can be taught and understood, simply. This aspect has been the greatest challenge in manifesting this Macro Idea. There are so many analogies for its different moving parts. In its simplest form: Take the survey, and generate income for yourself and others. The Inaugural segment of theJobSpectrum™, Aries 2016, closed on April 22. So when does the future start to solve these problems? theJobSpectrum™ is an attempt, using pre-existing puzzle pieces, to find unique ways to propel society in a new, better, exiting, more rational directions – the Potential it holds to literally ‘weave’ a New, Better Story for all of us – if we buy into it and utilize it.